At Fencor we run a customer-centric business, with great service and a quality end product at the core of everything we do. 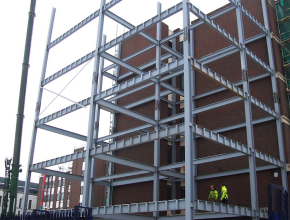 We pride ourselves on our London Postcode and so for any local sites with steel requirements under 5 tonnes per development stage, we offer free delivery. With over 100 years of combined industry experience our team has the know how, and ability, to meet even the most demanding of customer needs. 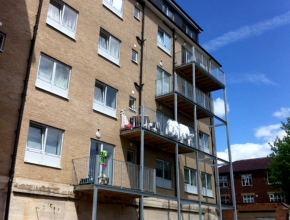 Fencor is the leading provider of steel fabrication and welding services for London and the South East of England. We provide the highest quality workmanship in a timely manner and pride ourselves on our competitive prices and excellent customer service. Click here to view the table of dimensions for our universal beams. 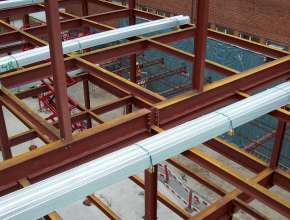 Click here to view the table of dimensions for our RSJ's. Click here to view the table of dimensions for our angles. Click here to view the table of dimensions for our hollows. Click here to view the table of dimensions for our channels. Click here to view the table of dimensions for our flats. 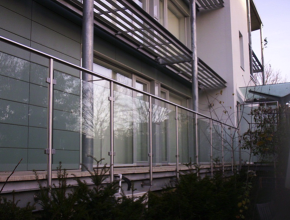 Click here for more information on our bespoke steel services. 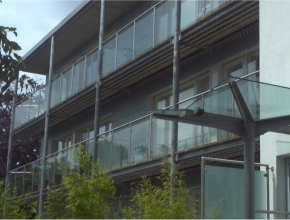 We have worked on jobs big and small all over the UK; whether fitting a set of balconies, building a new wing for a hospital or supplying and erecting a sports hall on the Isle of Man we approach any job with the same can do attitude and commitment to meeting deadlines and quality requirements. Feel free to browse a small selection of our projects. 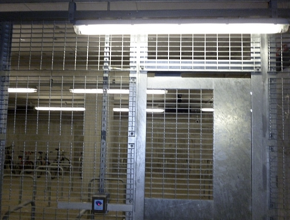 A new stainless steel bike shed. 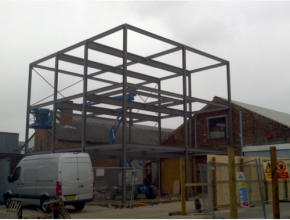 A stand-alone steel framed warehouse with mezzanine.